We’ve all been to family reunions that are entirely social and don’t include much in the way of history. One that I attend regularly usually includes a small area of poster boards full of old pictures but not much information. We meet new people and others that we haven’t seen in decades. In MOST cases, a family reunion is held without a majority of attendees leaving with any more information than they arrived with. With only a couple of hours of preparation time, a few materials and our help you can change that! You’ll arrive equipped with your own family reunion kit. All of the forms and charts mentioned in this article are accessible at the bottom of the page. If you’re involved in the research of your family tree there’s something well worthwhile that you can do. Prepare a binder with copies (only copies and not originals) of your genealogy documents and family history. 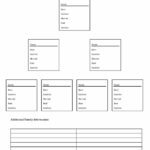 Next, prepare an attractive printout of your four-generation family tree or pedigree chart. Four generations is enough for most families to cover close to a 100-year span. This form isn’t too crowded or difficult to read. Make lots of copies so that anyone can take one with them. It’s easy, fun and it makes for a great conversation starter. The pedigree chart will include the common ancestor, their parents, grandparents and great-grandparents. If you’re missing a name or two don’t fret. Chances are that someone may have some idea or clues as to who the missing person might be! If you’re really short of names and you’re self-conscious about it then use the three-generation chart and include more detail instead. 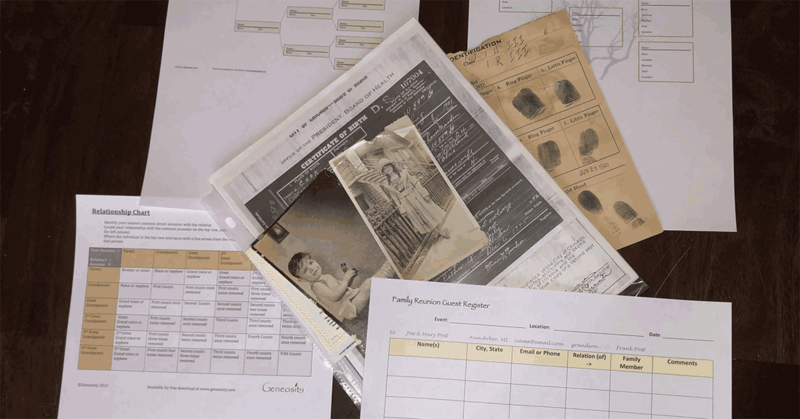 First, make copies and printouts of all the interesting things pertaining to your genealogy research. Begin with the common ancestor that ties everyone together. The most interesting records that draw the most attention are census records, marriage records and draft cards or other things that may contain an actual signature. There’s no need to include connecting records that were used as evidence in your research. Just include the most visually interesting items and include some photos if you have them. There are no guidelines for what you can include, so consider any interesting artifacts that you might be able to make copies of. I have copies of an ancestor’s funeral card from the 1950s and lots of other neat things. One of mine includes a copy of the original identification and fingerprint card for an ancestor that was a policeman! Assemble these pages in order with the common ancestor in the first pages and progressing back in time. 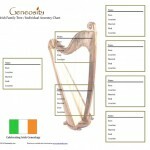 Use the four-generation chart as the cover. If you’re good at scrapbooking you’ll be able to produce a very attractive and engaging conversation piece that will get passed around for nearly the entire reunion. Since everything is made up of copied items (and not the originals) you could perhaps make more than one and even give them away to someone that’s especially touched by it. Upon arriving at the reunion place your binder somewhere on a table where it can be seen and made accessible to everyone. If your reunion has an area where they keep pictures or other things then place your binder somewhere nearby. 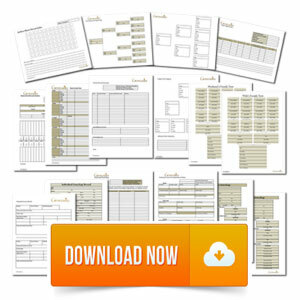 Bring a plastic office tray to set beside your binder to hold copies of the family chart. Include a clipboard with several sheets of the Family Reunion Guest Register if you know in advance that there will not be one already. This particular guest register takes the guesswork out of how someone is related to the family later on because it asks right on the form. Offer to share electronic copies of the guest register with the organizers or anyone that’s interested. You’ll know that it’s a success when you see people referring to the chart to explain how they are related and from which branch they came from. You’ll hit the jackpot when individuals volunteer to share their records, photographs or stories with you. Keep a notepad handy for when these opportunities arise. 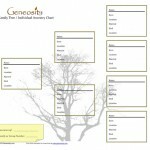 Add icing to the cake by taking along a few copies of the Geneosity Relationship chart. Is he a second cousin or a third cousin? You’ll have all the answers with this quick reference that will help everyone understand how exactly they are related to one another. An hour or two of preparation will make a big difference to a lot of people. You may be pleasantly surprised by the response! Geneosity forms mentioned in this article can be accessed below.